You are at:Home»All Categories»Leadership»How do you develop your high potential managers for future leadership roles? How do you develop your high potential managers for future leadership roles? Lois Braverman discusses the two-year mentorship program at her organization that allows individuals to learn the skills that are needed by the organization from senior staff members. She also talks about she regularly tries to evaluate executive staff and play to their strengths allowing them to focus on the work they do best. Previous VideoHow do you ensure that you hire the right employees? Next Video How can leaders maintain a balance of being empathetic while making tough decisions about people? Lois Braverman, is President and CEO of the Ackerman Institute for the Family. 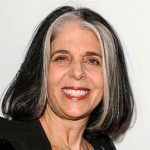 Her many publications and international presentations challenge the assumptions implicit in major schools of family therapy about women’s role in the family, in the workplace, and in the psychotherapeutic setting. She is founding editor of the Journal of Feminist Family Therapy and author of the book : Women, Feminism and Family Therapy (The Haworth Press). Lois was the recipient of the 1994 American Family Therapy Academy’s “Innovative Contribution to Family Therapy Award” and the 2012 University of Iowa, College of Arts and Sciences’ Distinguished Alumni Award.